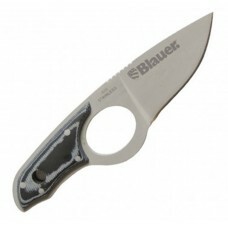 Blauer’s Backup compact fixed-blade tactical knife is made from super strong stainless steel, with a non-slip, resin laminate handle and finger grip design for leverage. The possession and use of knives are subject to a wide variety of state laws. Use caution when using all knives.